A home remodeling project is a very big deal. Therefore, you need to treat it as such. There are many things that you must do before the contractor and his crew show up at your door. 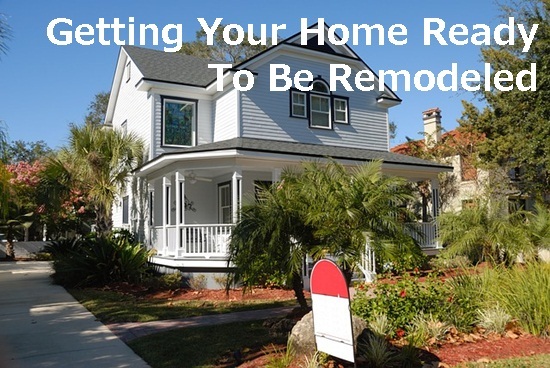 You must take your preparations for the remodeling project seriously. Doing this will make the possibility of something going wrong much smaller. You would be wise to make yourself a checklist to ensure that you have done everything you need to. Is this your first time having your home remodeled? If this is the case, here are the tasks you will need to accomplish before the remodeling of your home can begin. Have you contacted your local city hall to get all of the building permits you will need for your project? You cannot simply build any structure you want on your property. You need to have everything approved by your local government. This includes a new deck, an addition to your garage or a new room. It is illegal to remodel your home without having city building permits in place. You could be heavily fined if you build any additional structures without having the right permits. Make sure this is taken care of long before the project is scheduled to begin. Choosing a contractor at random out of your local phone book could be a mistake you are bound to regret regret. This is because there are many contractors who will do terrible work that could be dangerous. It will need to be repaired again. Therefore, putting some effort into checking out the backgrounds of contractors in your area would be a productive use of your time. Get free remodeling quotes from all of the contractors you speak to. You will be surprised to find out how much their prices differ from each other.